Judith and Holofernes. Salome and John the Baptist. Sheila and Gary. Stories of severed heads have long horrified and hypnotized audiences. 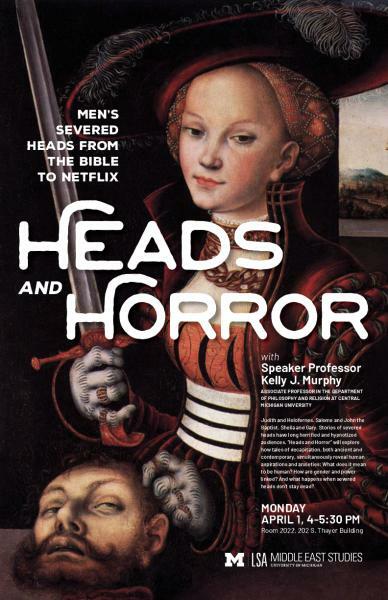 “Heads and Horror” will explore how tales of decapitation, both ancient and contemporary, simultaneously reveal human aspirations and anxieties: What does it mean to be human? How are gender and power linked? And what happens when severed heads don’t stay dead?